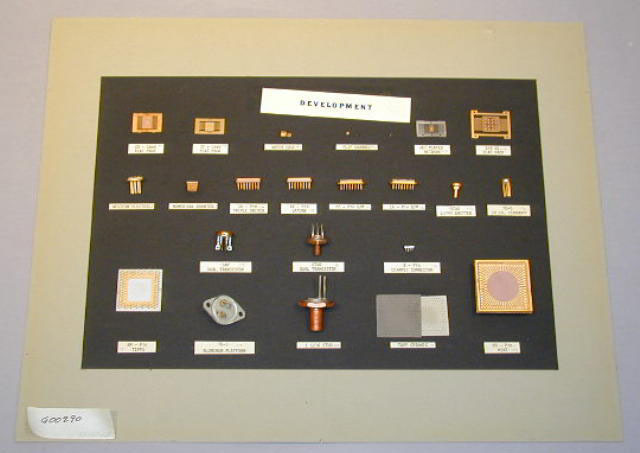 This item is a display of a number of development headers made for different device projects. Production, if any, was limited. The time period represented is late 1960's to mid 1970's. Related material in collection: G00277-9, 288-9.